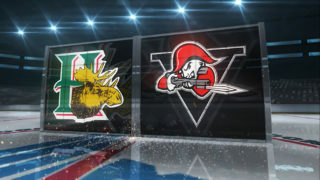 The Halifax Mooseheads are set to embark on their eighth President Cup Semi-Finals appearance in franchise history and their fourth in the last eight seasons. 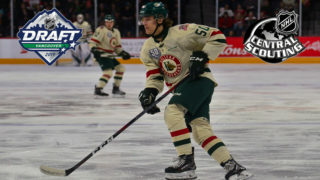 The Moose punched their ticket to the final four of the QMJHL by virtue of a second round sweep of the Moncton Wildcats. The team first made the Semi-Finals back in 1997 in just the third season of the franchise’s existence, followed by heartbreak in the President Cup Final in both 2003 and 2005 before winning it all in 2013. 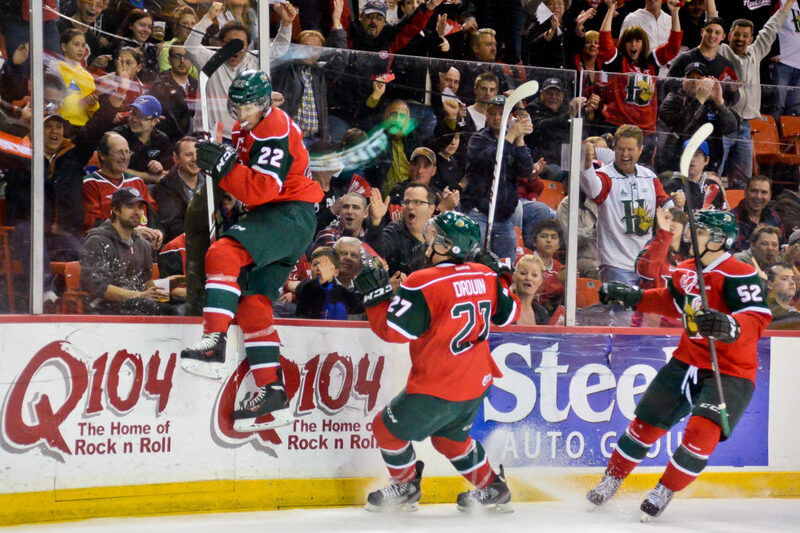 Here’s a look back at the history of the Mooseheads in the Semi-Finals. Jean-Sebastien Giguere had stopped all 31 shots he faced as the Mooseheads were in the process of a 4-1 win to even the series 2-2 versus Chicoutimi, but an injury late in the second period forced him to miss the final three games and the Sagueneens took the series in seven games. Future NHL forward Marc Chouinard led Halifax in playoff scoring with 26 points on 10 goals and 16 assists. 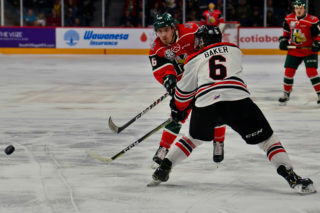 The Mooseheads went on the run after finishing sixth in the overall standings during the regular season. Halifax featured a veteran-laden lineup that finished second overall with 101 points in 2002-03. They swept their way through Cape Breton in the opening round of the playoffs, needed seven to dispose of Acadie-Bathurst and took down Baie-Comeau in a gruelling seven-game series in the Semi’s. The Moose fell behind the Drakkar two-games-to-none but won the next two games to even the series. Baie-Comeau won Game 5 but the Herd finished off the series with consecutive victories including a convincing 7-1 win in Game 7. Halifax later came within a single game from capturing the first league title in team history but dropped a seven-game series to Max Talbot and the Hull Olympiques. F-P Guenette was the team’s leading scorer with 27 points. 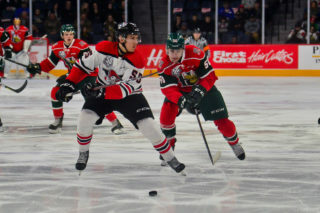 The Mooseheads once again finished second overall in the regular season standings and cruised through a different playoff format that earned the team a first round bye. They took down David Krejci’s Gatineau Olympiques in five games in the second round and swept the Semi-Final series vs Rouyn-Noranda. Their hot play was quickly halted in the President Cup Final when the Herd ran into superstar Sidney Crosby and the Rimouski Oceanic. Crosby scored five goals and added four assists in a four-game sweep of his hometown team as Rimouski advanced to the Memorial Cup. 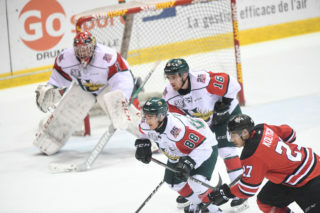 F-P Guenette was the Mooseheads’ leading playoff scorer again with 15 points. The Mooseheads had loaded up for the 2008 playoff run with the addition of forward Brad Marchand. The future Bruins star tied for the team scoring lead in the postseason with 19 points (P-J Corsi also had 19) and the Herd made it to the Semi-Finals for the fourth time in franchise history. Halifax’s lethal lineup also featured the likes of Jakub Voracek, Logan MacMillan, Bryce Swan, Ryan Hillier and Andrew Bodnarchuk. They defeated Victoriaville in six games in the first round, easily disposed of Cape Breton in five games in the second round and appeared to be in good shape going to the semi’s. However it was Claude Giroux and Paul Byron’s Gatineau Olympiques that claimed the Cup with a four-game sweep of the Mooseheads. Halifax fans battled through some lean years following the 2008 Semi-Final loss but hope was on the horizon with rookies Nathan MacKinnon, Jonathan Drouin and Zach Fucale leading the way in 2011-12. 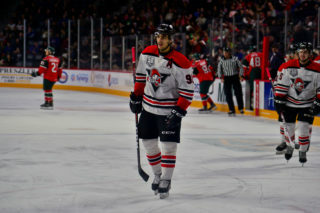 The young team finished sixth overall in the regular season but had a magical playoff run that included a sweep of Moncton (sounds familiar), followed by the epic comeback versus Quebec where the Moose reeled off four consecutive wins to take the series in seven games which was capped off by Jonathan Drouin’s overtime winner. Halifax then dropped the Semi-Final battle against Rimouski in six games as the team simply ran out of steam. MacKinnon and Drouin combined for 54 points in the postseason. Despite the disappointment vs Rimouski, that playoff drive set the tone for the best season in franchise history just a few months later. Featuring the most talented team in Mooseheads history, 2012-13 turned out exactly as the fans in Moose Country had hoped. The Herd dominated the QMJHL regular season with 58 wins and just six regulation losses, MacKinnon and Drouin solidified themselves as top prospects for the NHL Entry Draft and Halifax ripped through the President Cup Playoffs like a hot knife through butter. The Moose swept Saint John, swept Gatineau, swept Rouyn-Noranda in the Semi-Finals and needed only five games to destroy Baie-Comeau and capture the team’s first ever President Cup title – doing it on home ice in a 5-1 victory that fans will never forget. The Moose of course went on to win the Memorial Cup in Saskatoon later in May. Players like Nathan MacKinnon, Konrad Abeltshauser, Stephan Fournier and others had moved on but the Mooseheads had another strong team in 2013-14 led by Jonathan Drouin’s 108 point season and a rookie by the name of Nikolaj Ehlers who tallied 49 goals. Halifax finished second overall in the standings and had little trouble in the first two rounds of the playoffs. The Moose swept the Charlottetown Islanders in four straight and then defeated Gatineau in five games. The Semi-Finals were a different story however as Val d’Or proved to be a formidable opponent. Goalie Antoine Bibeau was hot for the Foreurs. He had four games with more than 40 saves and Anthony Mantha scored eight times in the series as Val d’Or rallied from a 3-2 series deficit to win in seven games. The future is yet to be written as the Mooseheads have fought their way to an eighth Semi-Final appearance. Finishing third overall in the QMJHL standings with a 49-win season, the Herd fought their way through a tough seven game series against Patrick Roy’s Quebec Remparts, becoming the first team in the league since 2015 to rally from an 0-2 series deficit in the process. The second round went much smoother with a four-game sweep of Moncton. The Mooseheads have accomplished all of this despite not having star center Benoit-Olivier Groulx in the lineup. He has missed the entire playoffs with mononucleosis and remains out indefinitely. Groulx was second on the team in scoring with 80 points during the regular season. NHL draft eligible forward Raphael Lavoie has taken his game to another level this spring and leads the QMJHL in playoff goal-scoring with 13. He sits second in points with 20, behind only Rouyn-Noranda’s Peter Abbandonato who has 21.